Tenerife is the largest and most popular island of the seven Canary Islands. The Canary Islands also known as the Canaries (Spanish: Canarias) is a Spanish archipelago located just off the northwest coast of mainland Africa, 100 km west of the border between Morocco and the Western Sahara. Daily temperatures on Tenerife seldom fall below 20 degrees Celsius due to the island’s location just off the coast of Morocco and it’s that reliable weather that draws the visitors. Tenerife holidays are incredibly popular with British holidaymakers. 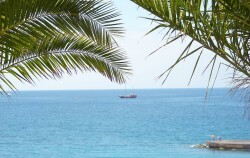 Tenerife is with about five million tourists each year the most visited of the Canary Islands. Tenerife is serviced by two airports, Tenerife North Airport and Tenerife South Airport, and easy to reach. The island’s well loved resorts such as Playa de las Americas, Los Cristianos, La Pineda, Puerto de la Cruz and La Caleta offer everything from peaceful, laid-back relaxation to full on thrills day and night. Affordable, budget or even ostentatious all-inclusive luxury, you’ll find all types of accommodation on this fabulous holiday island. Tenerife is dramatic, beautiful and full of possibilities, as well as being one of Europe’s most exciting islands Tenerife offers Europe’s widest range of tourist attractions and activities. Sunbathe or swim on the palm-shaded lagoon of Lago de Martiánez and if you get tired of lying on the beach, find some shade in the exotic green oasis of the Jardín Botánico or make waves in Europe’s biggest water park – Siam Park. Tenerife has the highest elevation of Spain, a World Heritage Site that is the third largest volcano in the world from its base, El Teide. Tenerife hosts one of the world’s largest carnivals and the Carnival of Santa Cruz de Tenerife is attempting to become a World Heritage Site. Glad to see Siam park up there!